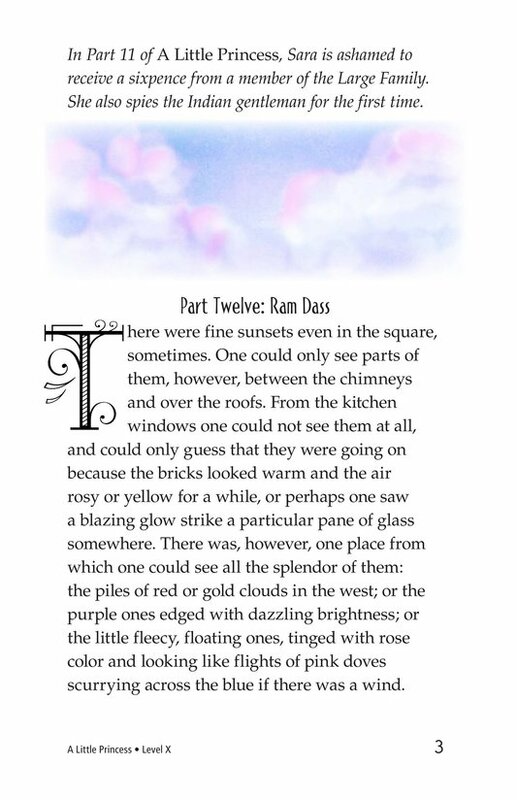 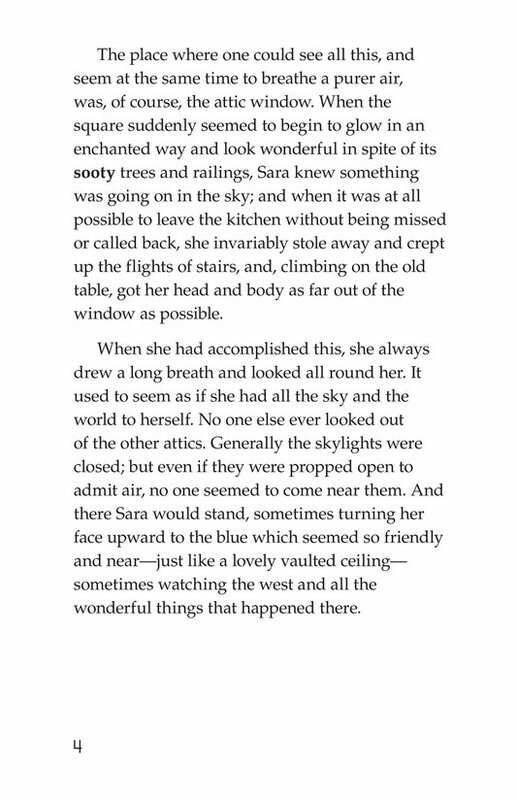 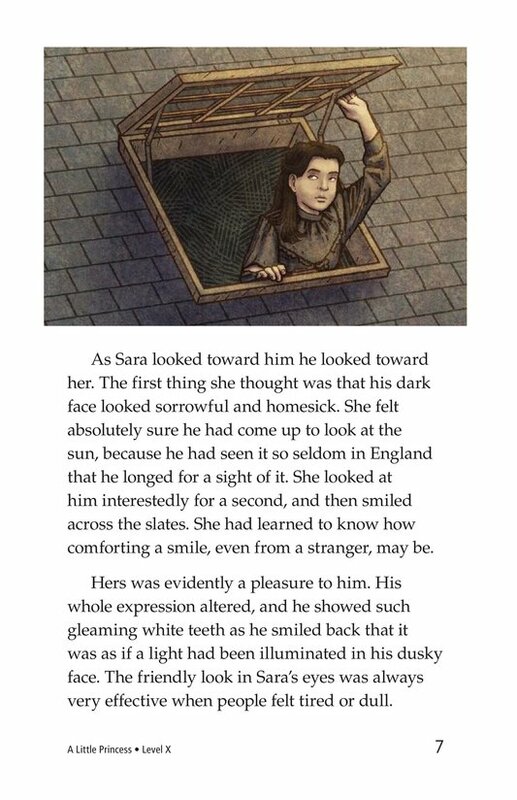 One of Sara's few pleasures is gazing out of her attic window. 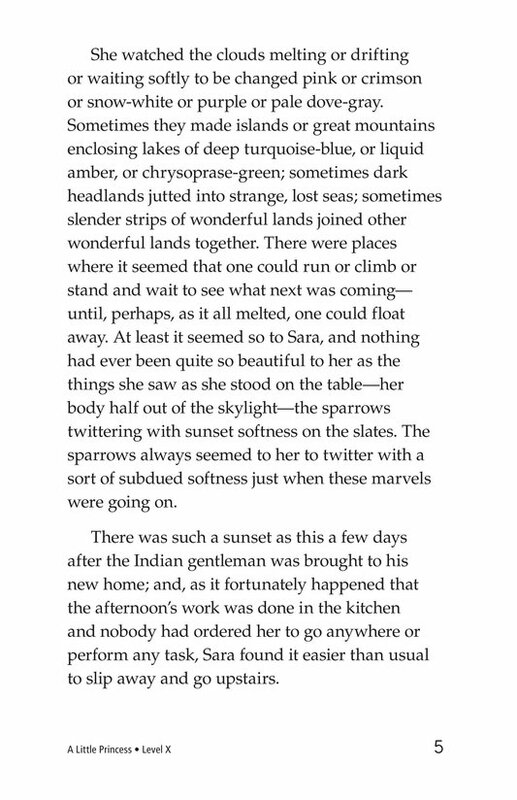 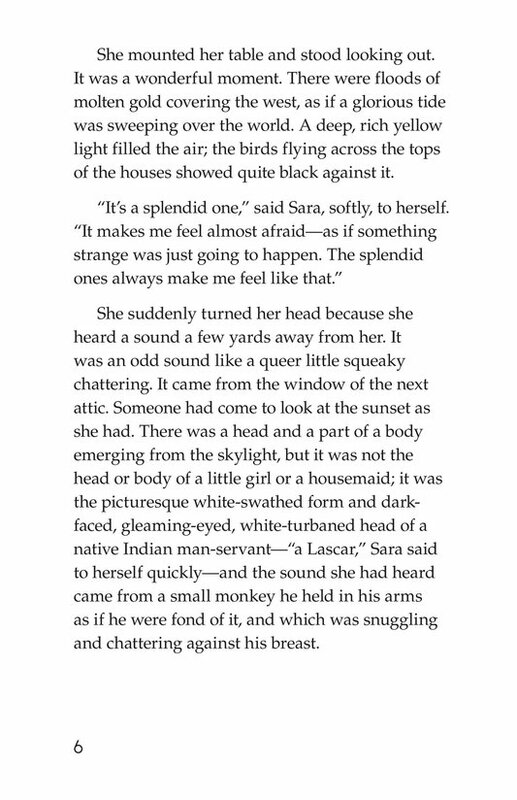 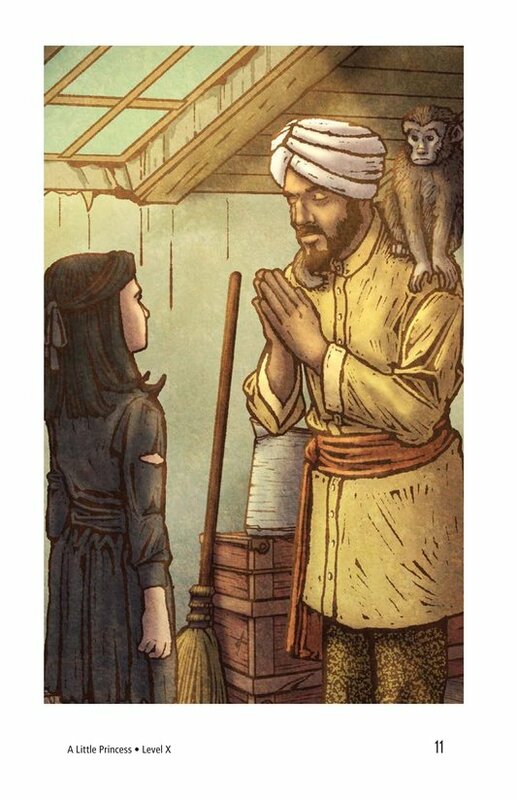 While taking in a beautiful sunset one evening, Sara is surprised to see an Indian man and his monkey looking out of the attic window next door. 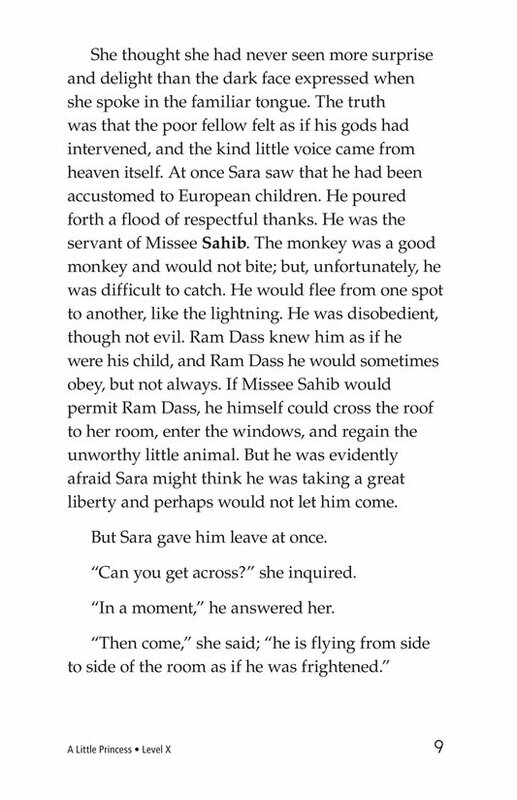 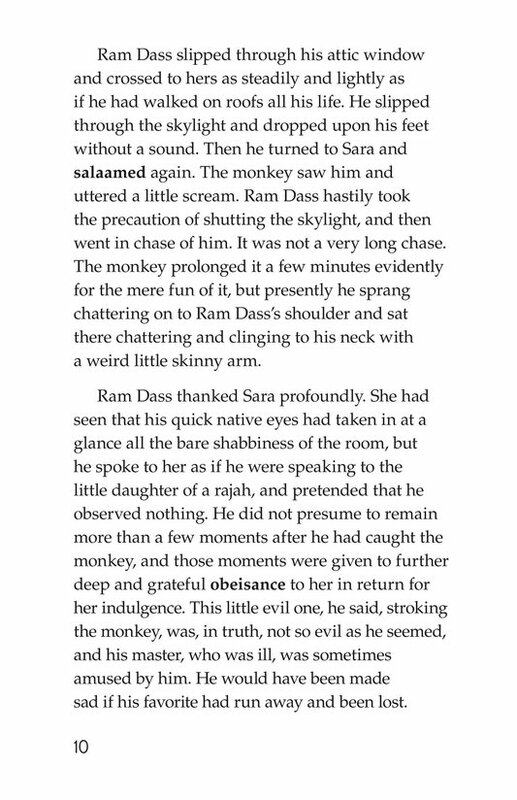 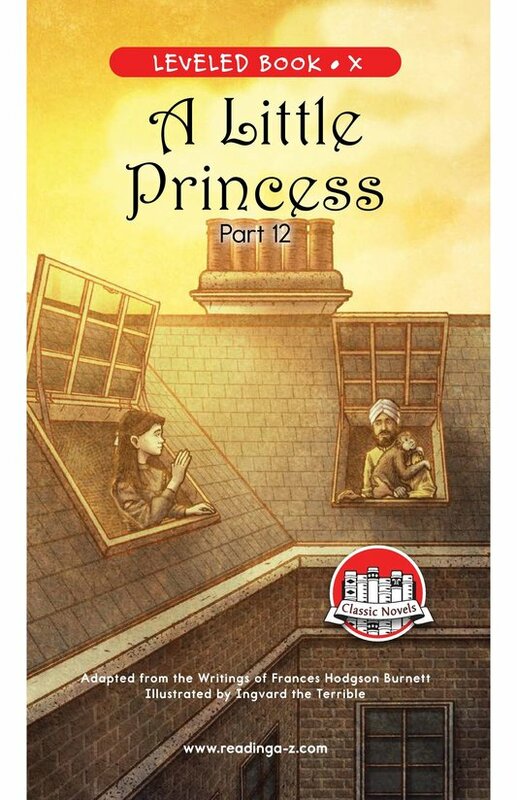 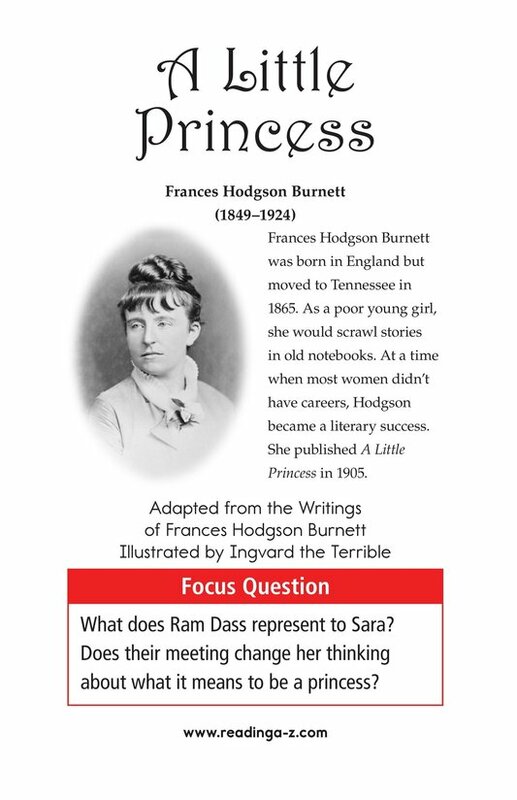 The monkey scrambles over the roof and jumps into Sara's room, leading Sara to meet Ram Dass, her new neighbor's Indian servant. 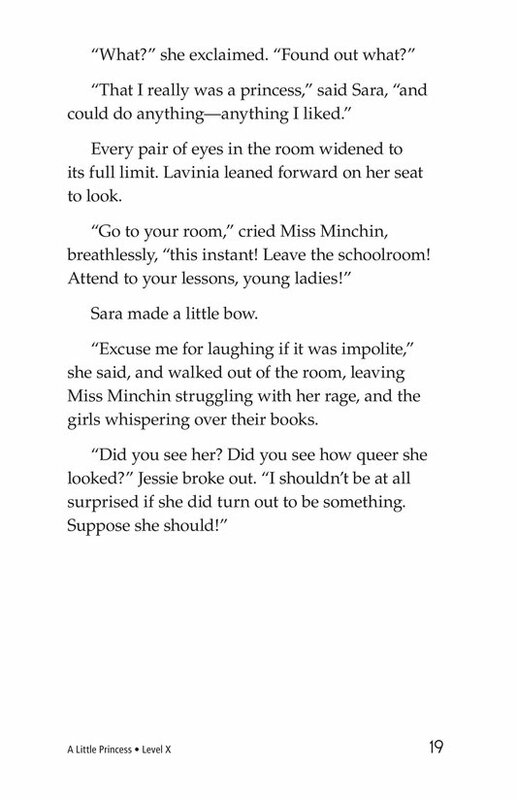 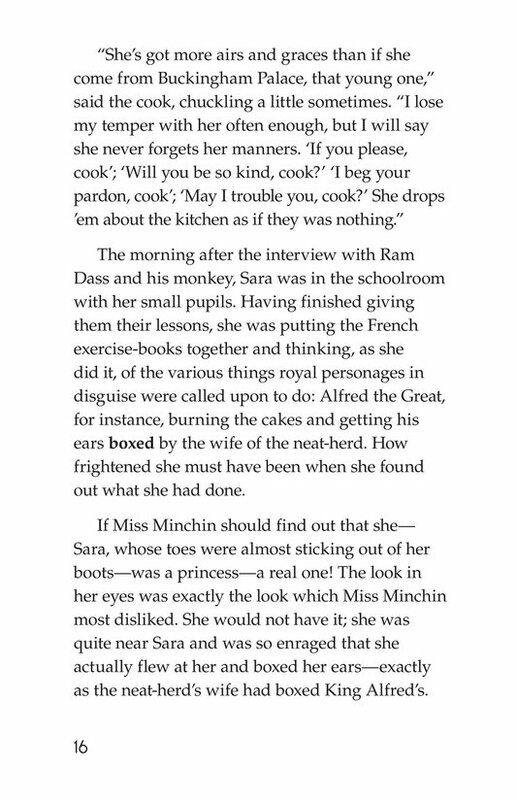 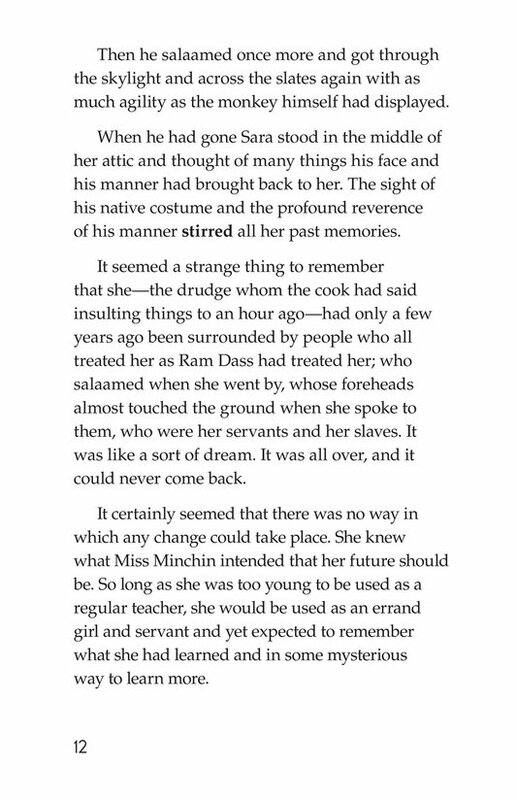 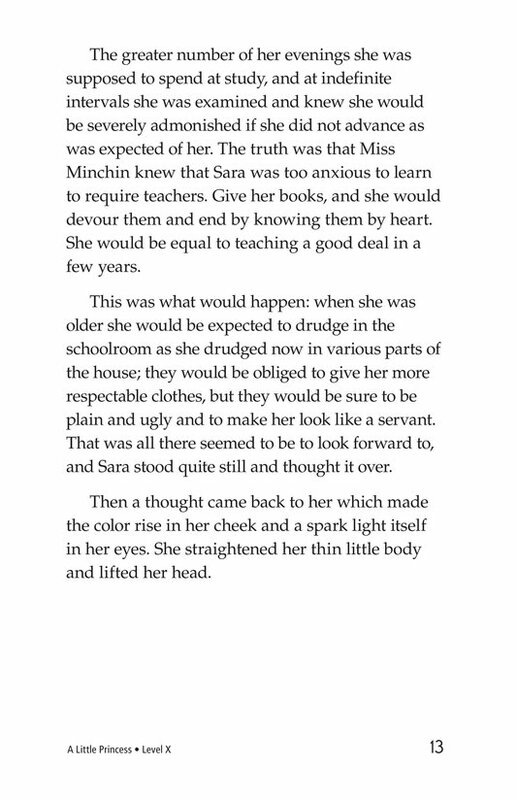 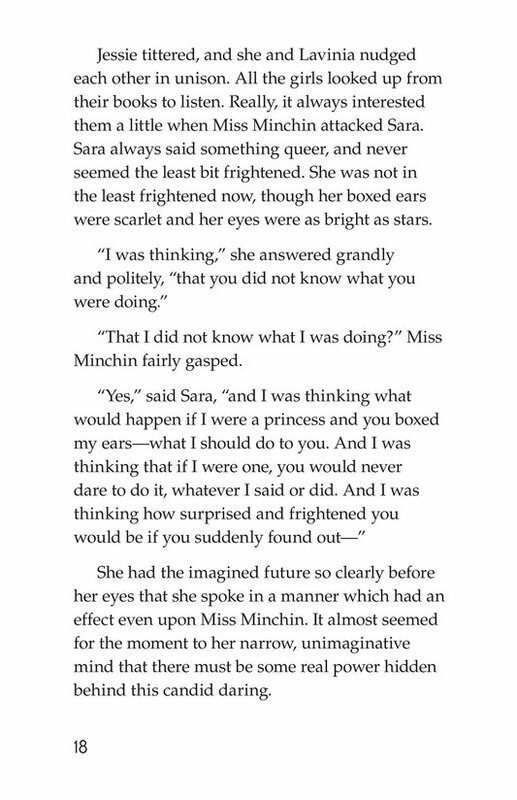 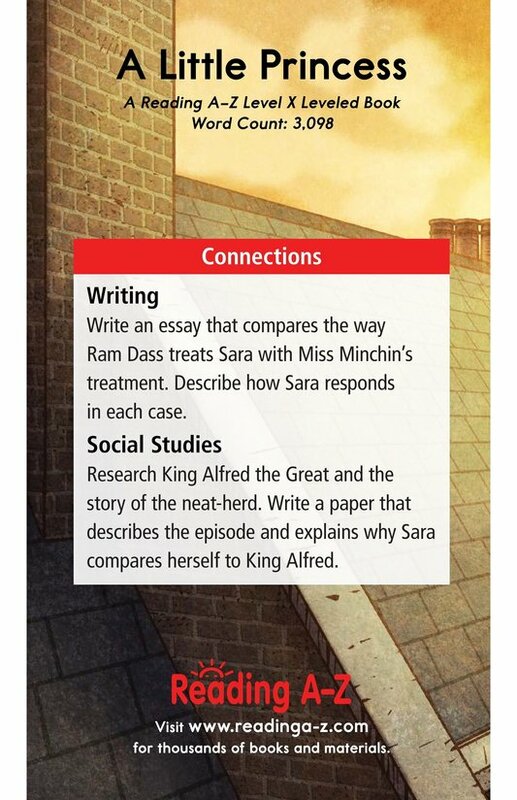 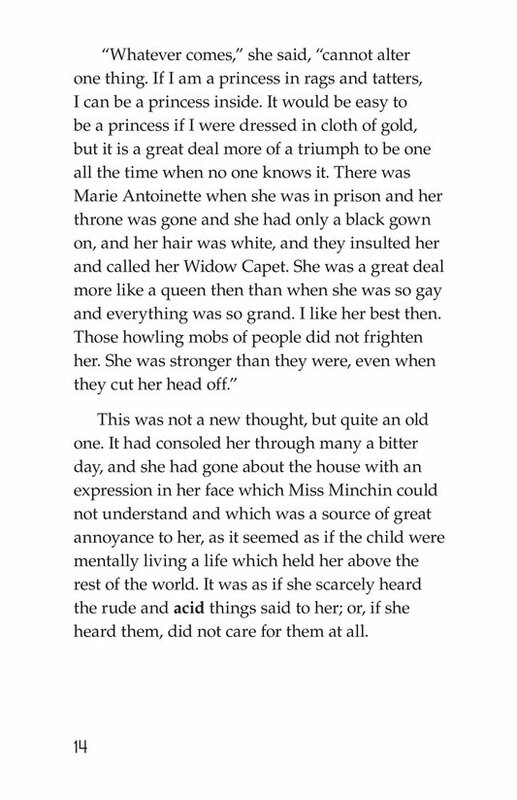 Later, Sara upsets Miss Minchin, who boxes Sara's ears in front of the other girls. 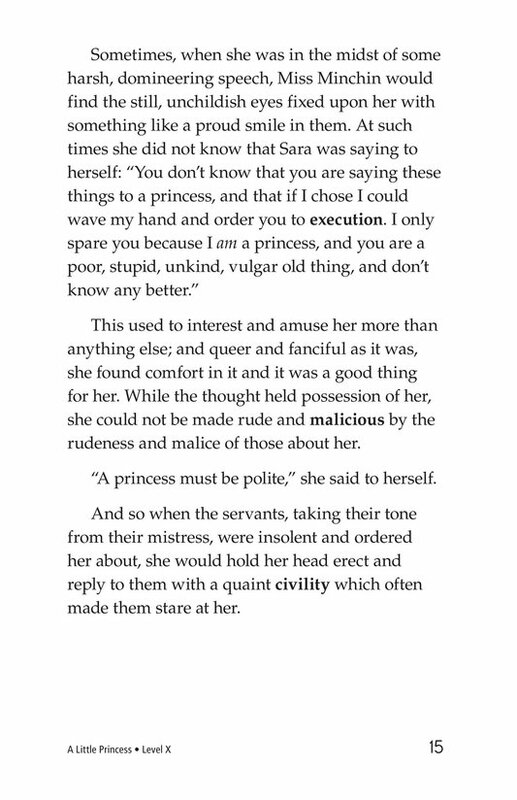 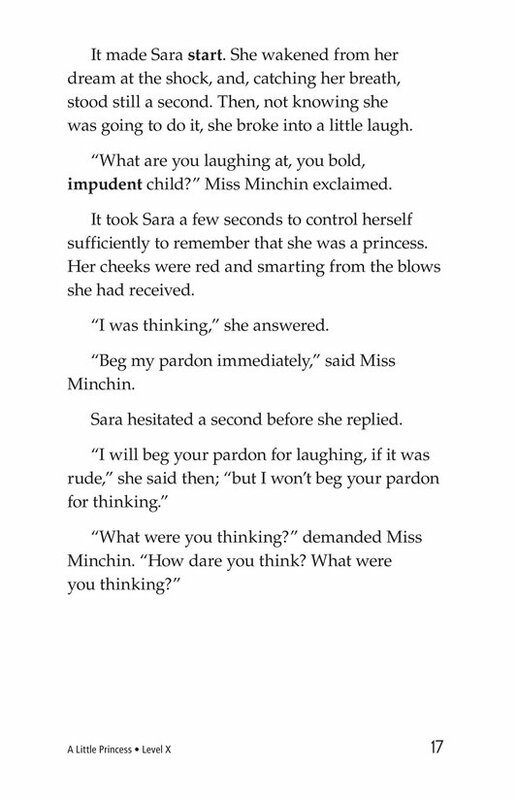 Sara laughs, angering Miss Minchin further.